If you would like to get a see what is being searched the most in Google - take a look at Google Trends. 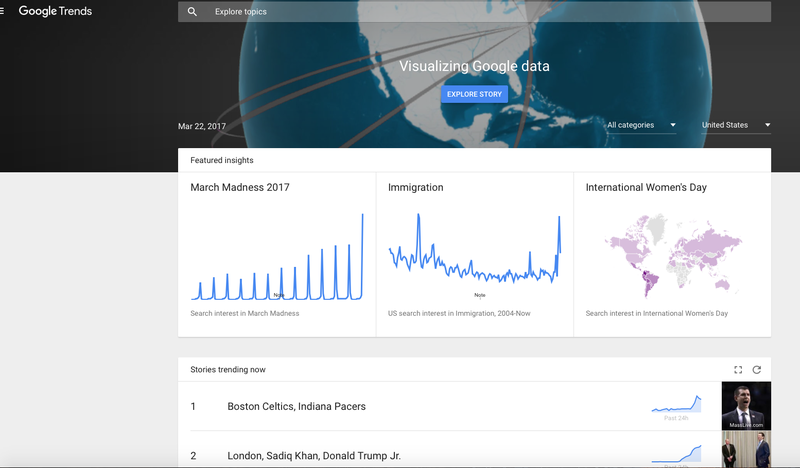 You will be able to search by what stories are trending now, as well as search by categories (Sports, Business, Sci/Tech, Health), and by country. Embedded below is a 1 minute and 30 second Youtube video showing you what the site looks like. Another great feature is Google Trend's Visualization Grid. You can see the most common searches in real time. Below you will see and embedded GIF of what the grid looks like. A big shout-out to Eric Curts for sharing this site.